The Meigs County District Public Library recently received a donation of 100 books. Emily Sanders, Children’s Services coordinator, is pictured with some of the new children’s books. POMEROY — It’s time for a trip to the library where there are 100 new books for children to read. 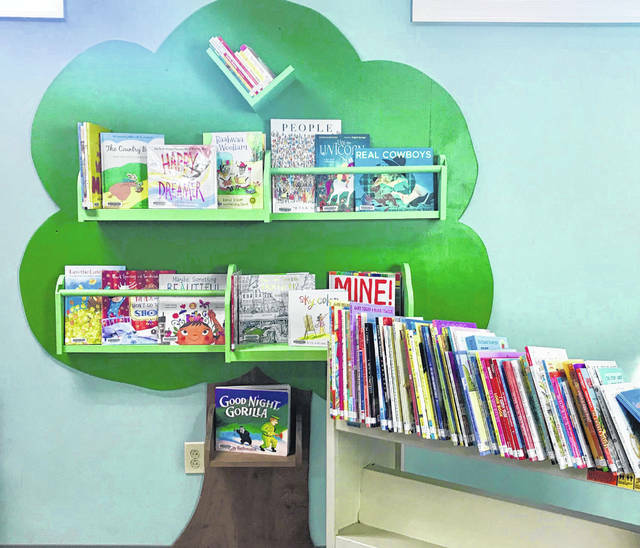 The Meigs County District Public Library recently received a gift of 100 new children’s books. These books were a donation from the Brownstone Book Fund, a private foundation in New York City interested in fostering early reading, a love of books and encouraging parents and children to read together. 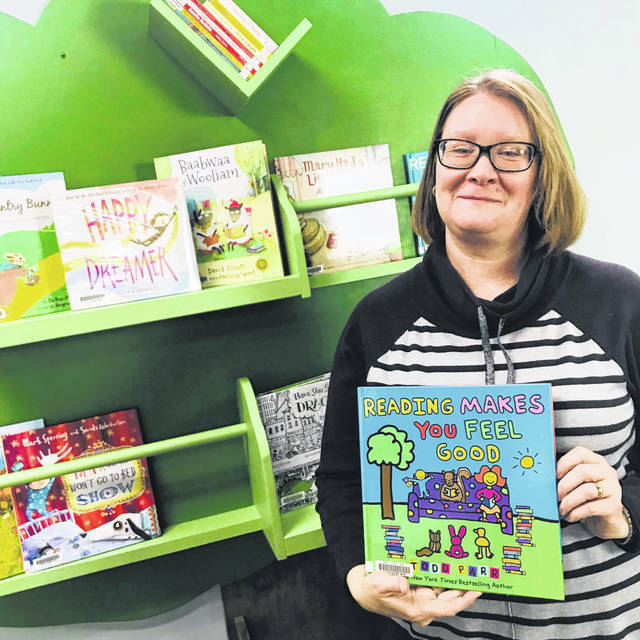 Emily Sanders, Children’s Services coordinator, chose titles from a list ranging in age-appropriateness from pre-kindergarten through early readers. For more information call 740-992-5813 or email esanders@meigslibrary.org. Information provided by the Meigs County District Public Library.